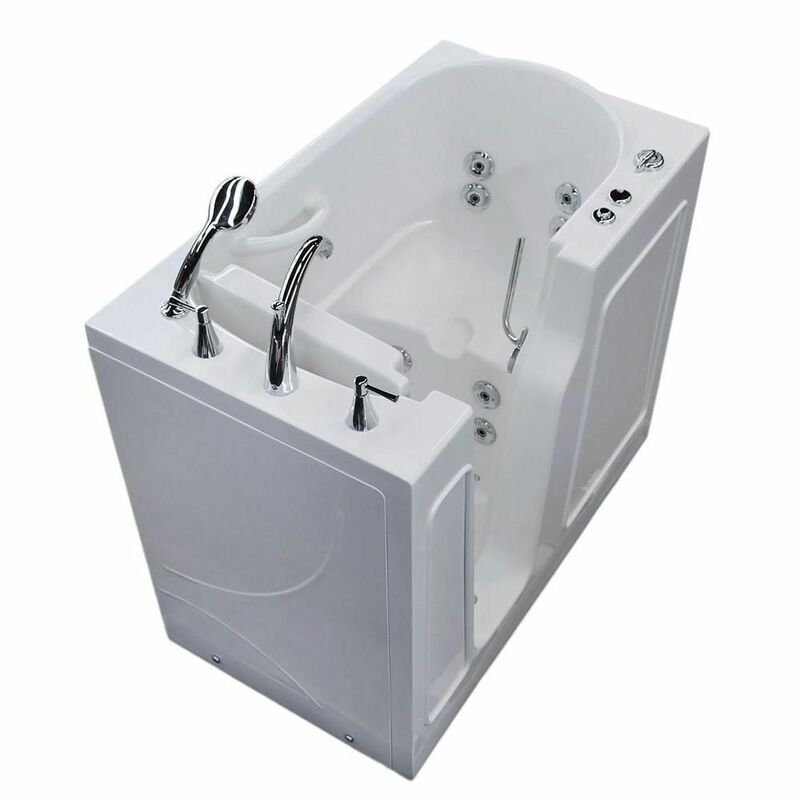 3 ft. 9-inch Left Drain Walk-In Whirlpool Bathtub in White with ADA Compliant Moulded Bathing Seat Walk-In's provide a safe and independent bathing experience. Using the latest in tub crafting techniques and industrial grade materials Walk-In Tubs offer an impressive line to meet your specific needs. Walk-In Tubs offer the satisfaction and peace of mind needed to truly enjoy a luxurious soak or a vibrant, soothing experience. 3 ft. 9-inch Left Drain Walk-In Whirlpool Bathtub in White with ADA Compliant Moulded Bathing Seat is rated 4.3 out of 5 by 3. Rated 5 out of 5 by TheEagle from One Great Tub I purchased this tub for my wife who recently had a stroke and couldn't access a standard bath. This is the first place she visits each day for her massage and bath.